For my nursing elective placement I went to Takoradi (Ghana) to spend one month in the regional hospital there. I decided to spend 2 weeks on the Psychiatric Ward and 2 weeks in the A&E department. 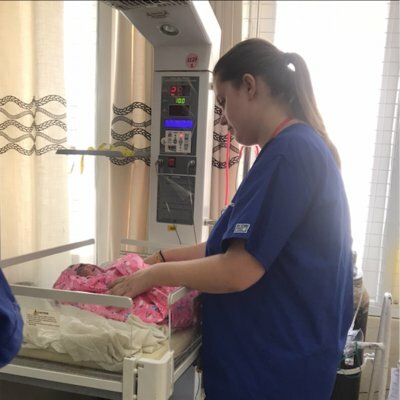 As a mental health nurse I was keen to find out about the Mental Health System in a strongly religious country with different laws and medication. The psychiatric department of the hospital functions fundamentally as an outpatient clinic (8am-2pm) but also acts as a community mental health team, a liaison clinic for the A&E department and also a small inpatient unit for the acutely unwell. The department is fully nurse lead which gave me opportunities to witness nurse prescribing and diagnosing of severe mental health problems and epilepsy which accounts for 50% of the mental health case load in Takoradi. I was given a lot of opportunities on the placement such as visiting patient homes, managing medication, attending religious rehab centres and creating therapeutic relationships with some of the English speaking patients. All with the full support of the friendly and very welcoming English speaking staff. In addition to my opportunities in Takoradi, I decided it would be beneficial to visit 2 of the 3 psychiatric inpatient units in the country. This was fully arranged with help from programme manager Joe who arranged for me to meet with the Chief psychiatrist of Ghana Dr. Akwasi Osei at Accra Psychiatric Hospital in addition to a day visit at Cape Coast Hospital. I was shown around both hospitals by nursing escorts and met with staff from various wards including the children’s ward, the forensic ward and the private ward which are very interesting to compare with the UK equivalents. For the remaining two weeks of placement I worked on the A&E department and also worked occasionally in the evenings on the maternity and neonatal ward. These two weeks gave me the once in a life time experience to become hands on in areas of work unfamiliar and usually off-limits to me. I have learnt so much about cultural sensitivity, religious values and had some eye opening clinical experiences which will stay with me forever. I have had the opportunity to administer medication and take bloods, the chance to witness how Ghanaian cultural and religious beliefs influence mental health service engagement e.g. Witch Doctors and Pray Camps. I have been given the chance to explore nursing attitudes towards mental health and witness a different approach to restraint in a mental health hospital. I have been able to compare the effectiveness of typical and atypical medication and understand a different health care system which has been relevant to my third year modules on globalisation at university. This experience would not have been possible without the help from Work the World. Although the experience does seem expensive it really was worth every penny. 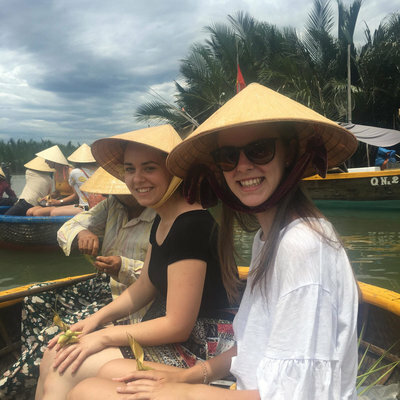 From day one after paying my deposit Work the World helped me plan my experience and organise my trip down to every last detail, from helping with my visa application and immunisation checklist to the simple queries such as what clothing to wear and currency to take. Work the World gave me my own Ghana timeline with a countdown of events leading up to my departure; this was really helpful as I knew exactly what I needed to do and when it had to be done. If ever there was a problem, I could always call or email the office and was given a rapid and helpful response from the team. Similarly when I arrived in Ghana I was greeted by Programme Representative waving frantically in a bright blue Work the World t-shirt, and welcomed by Alhassan the house keeper and Ophelia the Cook. If ever there was any sort of problem all of the Ghanaian based Work the World staff would bend over backwards to help with any special food requests, maintenance problems, or requested clinical or non clinical experiences. There were loads of opportunities to travel at the weekends to the Kakum for the Canopy Walks, To the Volta Region to walk up to the Waterfalls and also there were many beach resorts, cities and even two national safari parks. 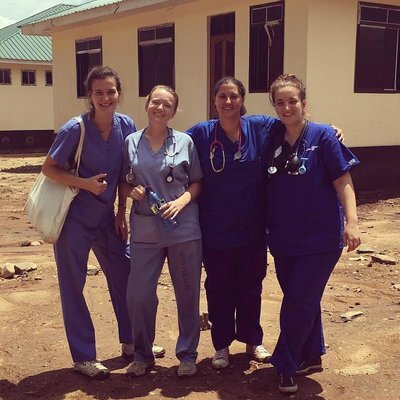 My elective placement has been invaluable to my nursing career, and I would strongly recommend Work the World to anyone wanting a well organised and safe trip abroad.